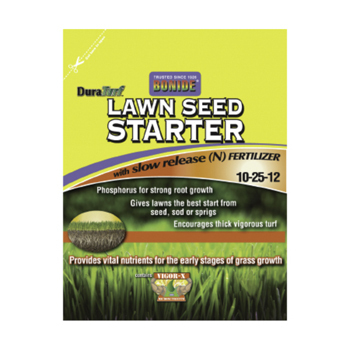 Lawn Seed Starter 10-25-12 helps build a vigorous root system. Gives lawns the best start from seed, sod or sprigs. Contains premium slow release fertilizer. Contains Vigor-X micronutrients.